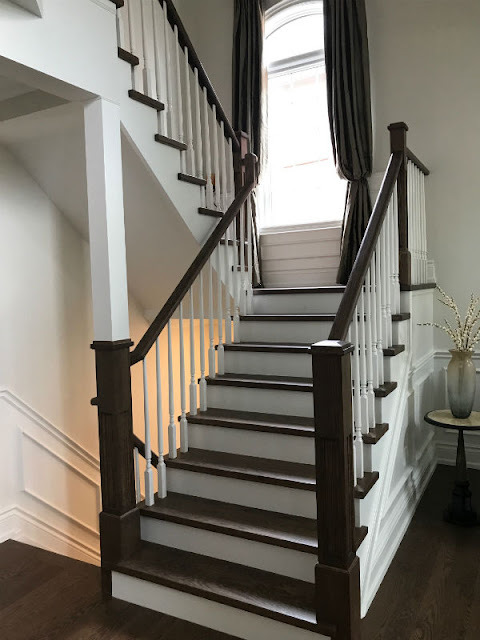 Our Oakville staircase refinishing team did a fantastic job on this staircase renovation project. The staircase stringer and risers were painted white, the wood tread was stained to matched the hardwood floor and landing area. The newel is a half wood with the top half painted white. Hope you like this staircase renovation.